These words sound very similar in both languages, but be careful! They have different meanings and can lead to some very amusing situations if used incorrectly. In Russian, аккуратный (akkuratny) is usually used to describe people – or rooms – as it means “neat, tidy.” It has nothing to do with target practise. In Russia, артисты (artisty) don’t usually paint – unless it’s their hobby – as it refers to “actors” or “singers.” If you want to say “artists” (like Van Gogh) there’s a special word in Russian: Xудожники (khudozhniki). In Russian, шеф (shef) sounds exactly like its English analogue but it has a wider meaning than a guy who cooks up delicious food. It means “boss” – so if you hear Russians complaining about their “shef” they’re most likely not berating their cook, it’s their boss who is doing their head in. If you’re looking at the back of a conductor’s (in English) head, you’re probably at the theater. But if you’re talking to a Russian кондуктор (konduktor) face to face, you’re almost certainly on a bus and in the process of buying a ticket. Декада (dekada) looks and sounds similar to “decade” and is also connected to the word “ten” in Latin, but it means a much shorter period of time – not ten years, just ten days. So when you see something like “первая декада января” written down, it’s not a mistake. The connection here is less direct than you think, as in Russian фабрика (fabrika) means “a factory.” In some фабрика-s they do produce fabric but obviously not all. Как правильно пишется ваша фамилия – с одной «н» или с двумя? Of course a person can be genial and гениальный (genialny) at the same time – but it’s not always the case, as гениальный means “genius.” But, Mahatma Gandhi and Albert Einstein were described as both. It also can be used ironically. It’s not normally a good thing to be called a lunatic in the English-speaking world – no one likes to be considered insane. 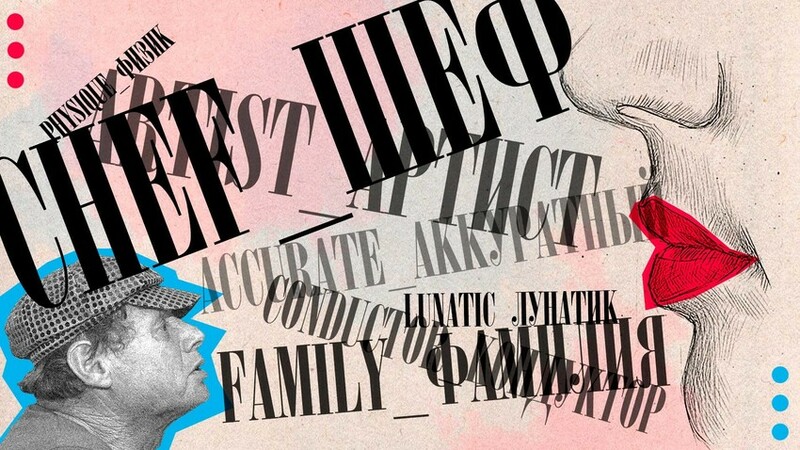 However, in Russian the word лунатик (lunatik) is an inoffensive medical term meaning “sleep-walker.” In some cases it can be used as an insult but it’s rare. Однажды неожиданно очнулся у открытой дверцы холодильника в 3 часа ночи, а как попал сюда – не помню. Я что, лунатик? This one horrifies Russians learning English as well: For some reason it’s extremely hard for beginners to remember the difference. Magazine is a periodical; mагазин (magazin) is a shop. Novels are long – and Russians know this all too well, as they gave the world the likes of War and Peace. However, the Russian word новелла (novella) means “short story,” while “novel” is translated as роман (roman). Проспект (prospekt) in Russian stands for “avenue,” so if you want to talk about the future and not architecture, use the word перспектива (perspektiva). Проспект can also mean “a draft of the project”.